The new Ford EcoSport is the eye-catching compact crossover that stands out in a crowd. The fun is just getting started in the new Ford EcoSport. 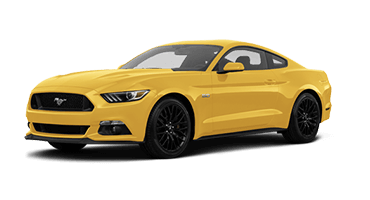 Ford designed this compact crossover to stand out in a crowd with its sharp lines, sculpted curves, and athletic stance that form its sporty facade. The new EcoSport distinguishes itself from other crossovers with its unique swing gate that opens to the side rather than up, making it easy to fill the 50 cubic feet of cargo space with whatever you want to bring along for the ride. 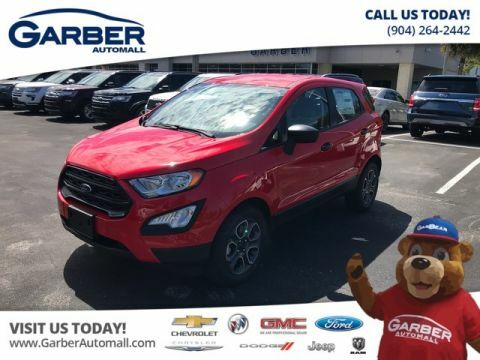 Whether you’re commuting to Orange Park, exploring downtown Jacksonville, or meeting friends in Fleming Island, the new Ford EcoSport ensures you’ll be the center of attention. Ford designed the new EcoSport with all your adventures in mind. That’s why it offers two standout engine options. 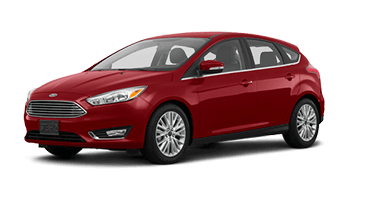 The standard 1.0-liter EcoBoost® engine uses auto-start/stop technology to push its fuel economy to 27 mpg city. 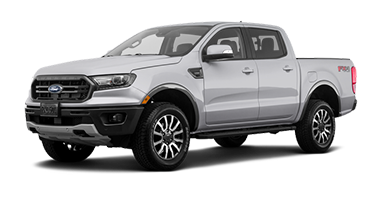 Alternatively, you can opt for the 2.0-liter Ti-VCT engine that’s equipped with Intelligent 4-Wheel Drive for enhanced traction in any conditions. Whichever engine you choose, the Ford EcoSport is ready for wherever the road takes you. Discover what you’ve been missing today. 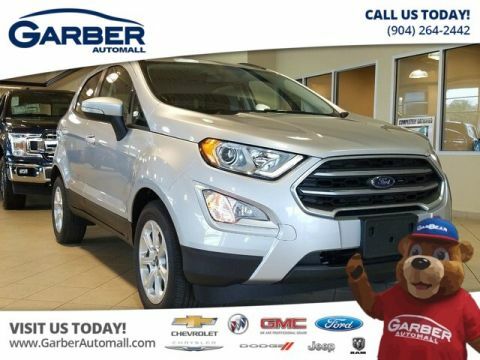 Head to Garber Automall in Green Cove Springs, Florida to test drive the new Ford EcoSport. Though the new Ford EcoSport is an SUV, it takes its exterior styling cues from the sports cars you know and love. 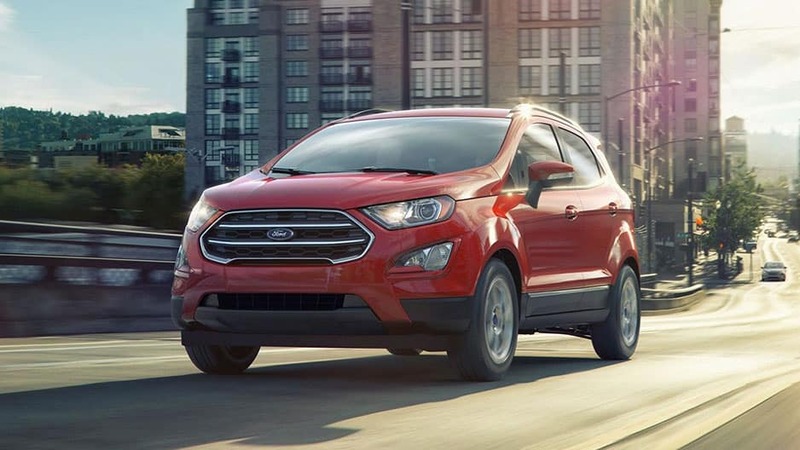 The EcoSport features sleek lines, eye-catching colors, and an athletic stance. Stand out in a crowd with the new Ford EcoSport. This compact crossover features an athletic stance, sculpted body, tinted rear windows, and distinctive front grille for a sporty vibe. The new Ford EcoSport is unlike other crossovers on the road. Instead of a traditional liftgate that pivots upward, the new EcoSport’s tailgate swings outward, for a different kind of load-and-go experience. Keep cold weather at bay in the new Ford EcoSport with its available heated side-view mirrors. These mirrors warm up when you activate the rear defroster, ensuring your view remains unobstructed from all sides. 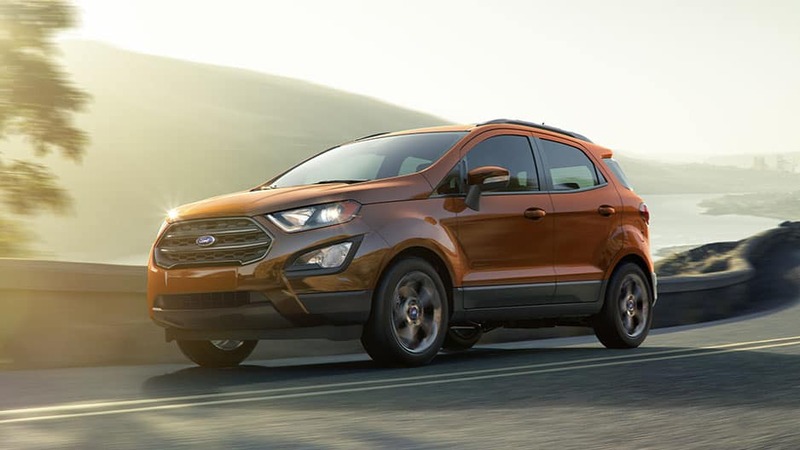 The new Ford EcoSport offers many wheel styles to choose from, including a set of 17-inch premium Dark-Stainless-Painted machined aluminum rollers guaranteed to up your curb appeal. 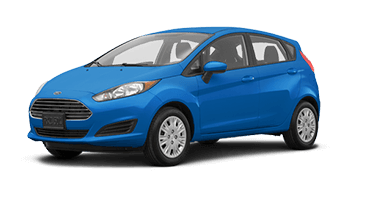 Ford offers the new EcoBoost in a range of colors, such as Blue Candy, Ruby Red, and Canyon Ridge, for a compact crossover you’ll love being seen in. Versatility and comfort go together in the new Ford EcoSport. 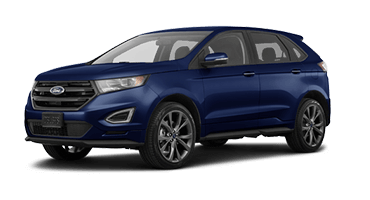 Ford designed this compact crossover with your needs in mind. 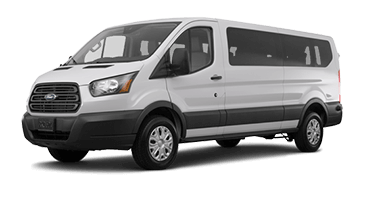 It boasts modern-day amenities such as heated front seats, versatile cargo space, and an available power moonroof. 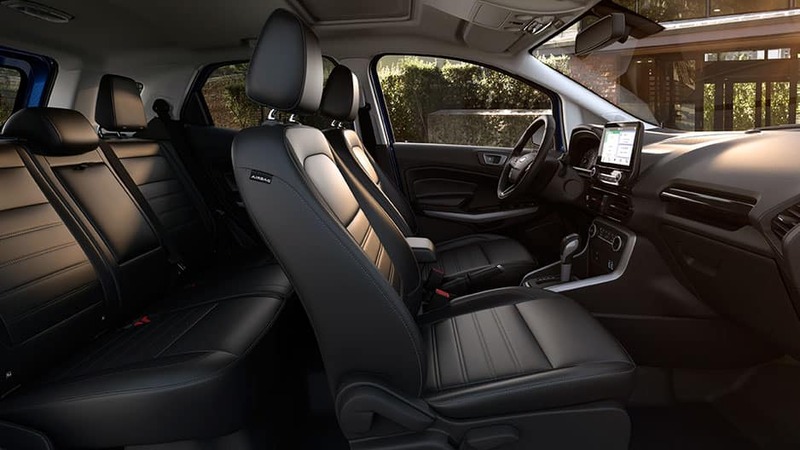 Slip behind the wheel of the new Ford EcoSport and take in an interior boasting contemporary design cues. The interior features partial-leather seats, copper accents, a sculpted dashboard, and multifunction steering wheel. 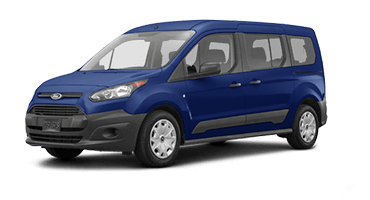 While the new Ford EcoSport may be a compact crossover, it can swallow up to 50 cubic feet of cargo when you lower the 60/40 split-fold rear seats. 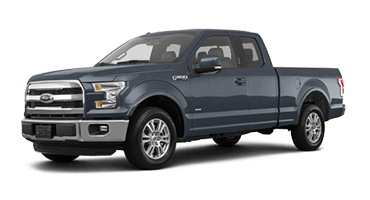 It also features the Cargo Management System that includes an adjustable rear load floor and a shelf that allows you to optimize the cargo area to fit what you’re hauling. Never let cold weather hold you back in the new Ford EcoSport with available heated front sets. With the press of a button, the seatbacks and cushions heat to your chosen setting, surrounding you in comfort. With the new Ford EcoSport’s available power moonroof, you can get fresh air or let the sun in with the push of a button. The new Ford EcoSport has available Intelligent Access with Push-Button Start. As long as you have the access key on you, you can unlock the doors or swing gate, and start the engine with just the push of a button. The new Ford EcoSport boasts the advance technology to ensure you never miss a thing. 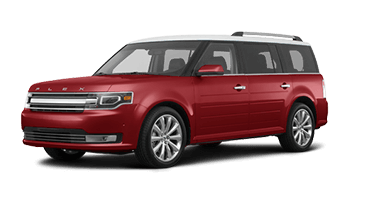 Sit back and enjoy the ride with smartphone integration, available 4G LTE Wi-Fi, and SiriusXM® Satellite Radio. With the Ford EcoSport’s available Sync® 3 infotainment system, you can connect your smartphone via Apple CarPlay™ or Android Auto™ and have access to your favorite phone functions right from the 8-inch touchscreen. You can stream your favorite music, answer calls hands-free, and find directions without picking up your phone. Stay connected on the go with the Ford EcoSport’s available 4G LTE Wi-Fi. The hotspot supports up to 10 devices, so you and your passengers never miss a thing. Bring the concert on the road courtesy of the Ford EcoSport’s B&O PLAY premium audio system. This system features 10-speakers that produce high-quality audio for an enjoyable listening experience. Tired of the same old playlists? With the new Ford EcoSport’s six-month SiriusXM Satellite Radio trial subscription, you’ll enjoy up to 150 channels of commercial-free music, live sports, talk, news, and so much more. 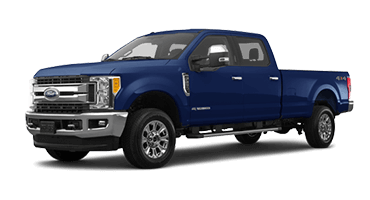 With the FordPass mobile app, you can access certain vehicle functions right from your smartphone. The app allows you to lock, unlock, and start the Ford EcoSport, check fuel levels, schedule maintenance, request roadside assistance, and so much more. Wherever the road takes you, you can rely on the new Ford EcoSport to keep you safe. 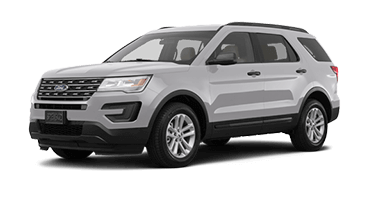 This compact crossover boasts the latest advancements in safety technology, including the Blind Spot Information System®, rearview camera, and Ford MyKey®. Ford offers the new EcoSport with available Blind Spot Information System. 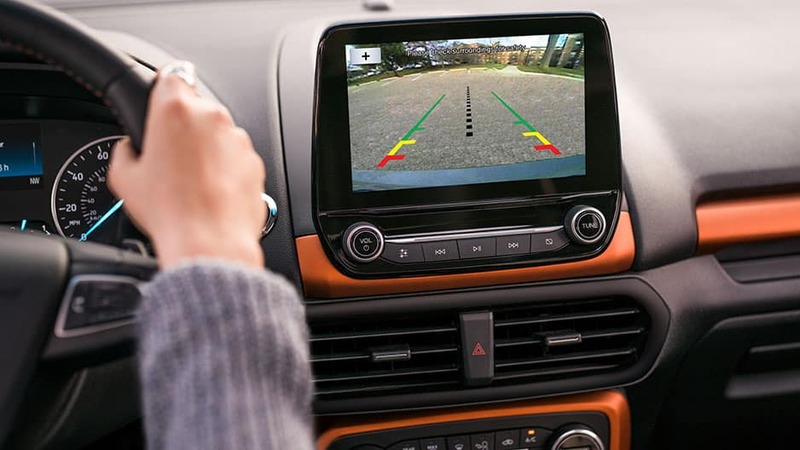 This system uses radar technology to detect when a vehicle enters your blind spot, alerts you with an illuminated icon on the corresponding side-view mirror. Reverse out of any parking spot or driveway with ease in the new Ford EcoSport courtesy of the rearview camera. The camera shows a live feed of the area behind you right on the display screen, with guiding lines that help lead the way. With the Ford EcoSport’s available rear cross-traffic alert, the EcoSport alerts you in the rearview camera display when there’s traffic crossing behind you. The Ford EcoSport is equipped with the tire pressure monitoring system. This system monitors all four tires and alerts you when one or more becomes low, so you can take care of it before it goes flat. With the new EcoSport’s Ford MyKey system, you can have peace of mind as you prepare young drivers for the road. 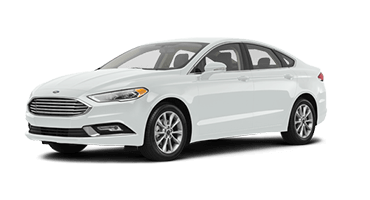 The system helps encourage teenagers to drive responsibly by allowing you to choose settings that promote good habits, such as increasing safety belt use, limiting top speeds, and decreasing audio volume. Ford designed the new EcoSport with adventure in mind. 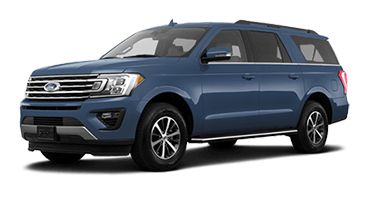 Feel free to get carried away in this fun-loving crossover that offers two engine choices, intelligent 4-wheel drive, and hill-start assist. 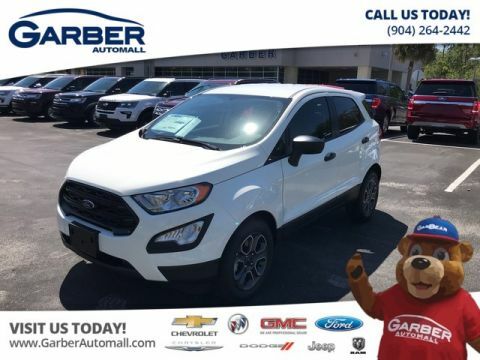 With the new Ford EcoSport’s 1.0-liter EcoBoost engine, you’ll enjoy exhilarating performance thanks to turbocharging and direct injection technology, and a satisfying 29 mpg highway. With the Ford EcoSport’s available 2.0-liter Ti-VCT engine, you’ll enjoy a peppy 160 horsepower and enhanced efficiency with automatic-start/stop technology. Ford designed the new EcoSport to give you the most bang for your buck. With the EcoSport’s available auto-start/stop technology, it shuts down the engine when you come to a complete stop and restart it when you lift your foot off the brake. This way you don’t waste fuel idling at stop lights. Tackle any road condition with confidence in the new Ford EcoSport with Intelligent 4-Wheel Drive. This system monitors all four wheels individually and directs torque to the those with the most grip, ensuring maximum handling. The new Ford EcoSport offers available hill start assist. When you’re at a stop on an incline, hill-start assist will prevent the EcoSport from rolling backward for a few seconds as you switch from the brake to the gas pedal. Whether you’re spending the day at the beach or commuting to work in Jacksonville, the new Ford EcoSport is equipped to ensure you enjoy the ride. This compact crossover offers the latest in advanced technology features, making it easy to stay connected on every adventure. Sync your smartphone to the infotainment system and take advantage of music streaming, hands-free calling, and turn-by-turn navigation. The new Ford EcoSport offers a comfortable driving experience with its thoughtfully designed cabin. Stay warm on cold morning drives with the available heated front seats. Or let sun and fresh air into the cabin with the available power moonroof. 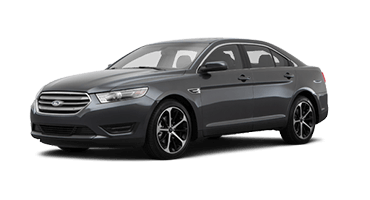 There’s even intelligent access with push-button start, so you can hope behind the wheel and head out on the road with just the push of a button. All this and more is waiting for you in the new Ford EcoSport. 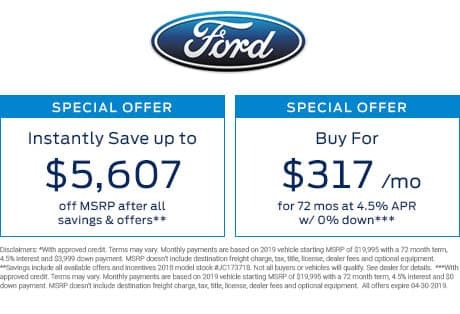 Experience it today by scheduling a test drive with Garber Automall in Green Cove Springs.